One of the great New Zealand independent labels, the Impact label was created in 1966 by two promoters, the Auckland talent manager (and former bandleader) Benny Levin and his partner, Dunedin-based (although he was shortly to move north) Russell Clark. The label’s first signing was Ray Columbus, solo and just out of his Zodiac contract, and then Gerry Merito, formerly of the Howard Morrison Quartet. It was a bold move as the two were big stars and each recorded an album for the label. Levin and Clark also signed the young singer Allison Durbin (she had previously recorded for Eldred Stebbing at Zodiac), releasing two singles by her before she moved to HMV and superstardom. None of these signings set the world on fire with their Impact releases, although Columbus' records charted well, and their times on the imprint were brief. However, the label struck both sales and stylistic gold with a young group called Larry’s Rebels, fronted by the charismatic singer Larry Morris, and managed by Clark. The band’s first two singles were on the Philips label, but Clark moved them across to his new label for their third, ‘My Prayer’, It was a smash hit, and more hits followed. 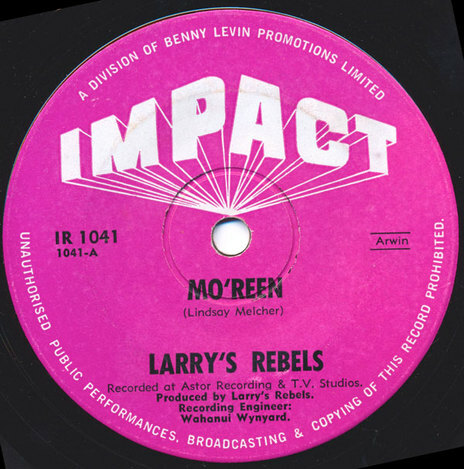 Larry’s Rebels were, for the next four years a teen sensation that gave the label a ton of press coverage with Morris' bad boy image ensuring maximum mileage. Often self-penned, their raw and very credible garage sound (many captured by engineer Wahanui Wynyard at Astor Studios in Auckland's Nugent Street) has ensured that their records are now regarded as sixties classics. Clark and Levin very deftly handled the band’s image, straddling a line between manufactured outrage and keen heart-throbdom. When Larry left the band, the label found itself with two hit acts, and The Rebels had a 1969 No.1 with 'My Son John'. Levin-Clark were the organisers of the annual Battle Of The Bands, and an Impact contract was part of the prize (although not all winning bands found name on an Impact record for a variety of reasons). Impact also recorded the popular Dunedin band The In-Betweens (with a young Rob Guest on vocals), The Cleves and Challenge (featuring a teen Ricky Ball, later of Hello Sailor) and their pressings have become increasingly collectable over the years. 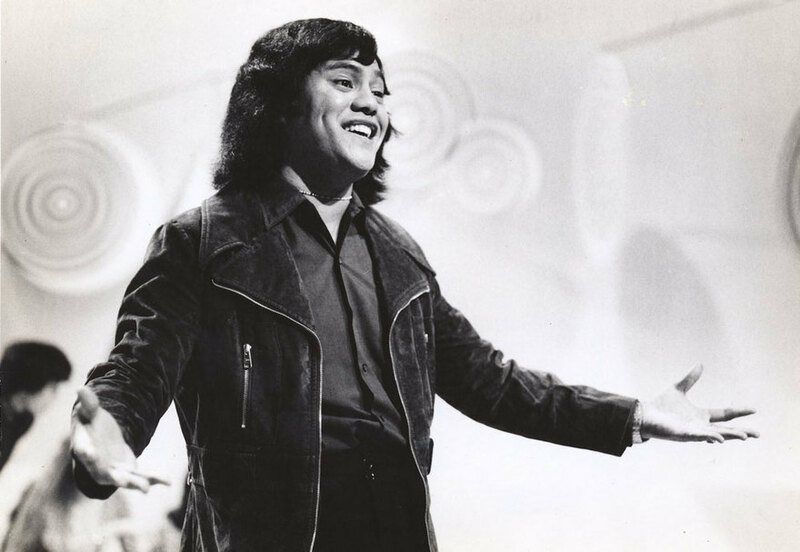 As the 1960s folded into the 1970s the label signed and released the hugely successful series of soulful crossover hits by Māori entertainer Bunny Walters. His run continued for much of the decade, and included the radio staple 'Brandy', from 1972. Several singles from young vocalist Erana Clarke also charted. The final artist signed to Impact was Golden Harvest, Morrinsville’s guitar heroes. They were also managed by Benny. 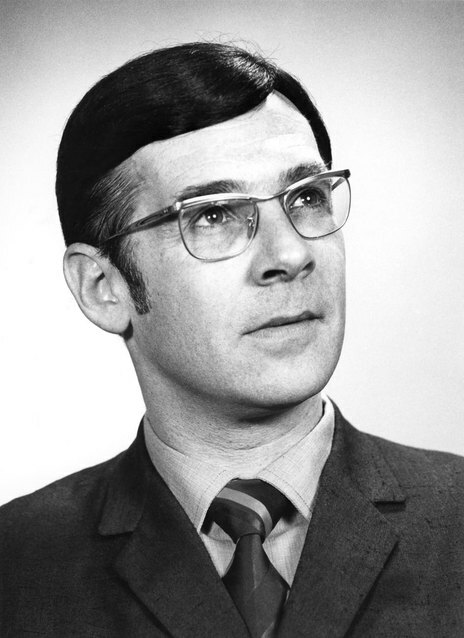 However after two Impact singles in 1978, now distributed by WEA (earlier releases had been via HMV and Pye), including the No.7 hit ‘I Need Your Love’, Benny decided he was tired of the record business and he transferred the band thereafter to Eldred Stebbing, who issued their next records on his new Key imprint. Benny Levin passed away in 1993. Impact had several bursts of strong creativity, more than a few 40 chart hits and was an important label that played a big part in defining the pop sound of the late 1960s. 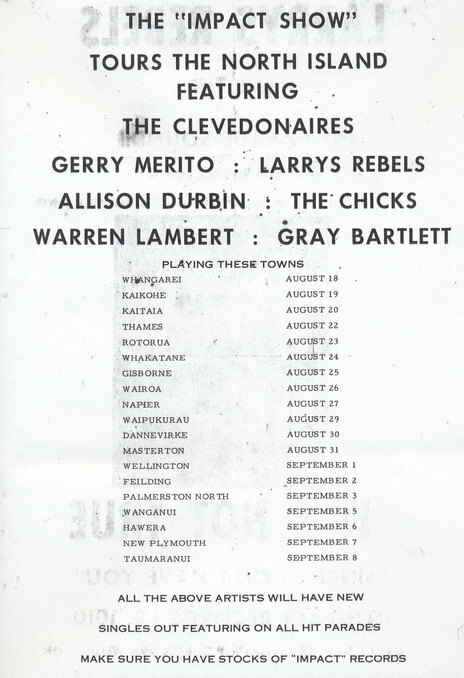 Not least, it gave us the mighty and very raucous Larry’s Rebels who contributed to what must be one of the strongest indie catalogues in New Zealand's past, in no small part due to Levin and Clark's deft and commercially aware A&R.